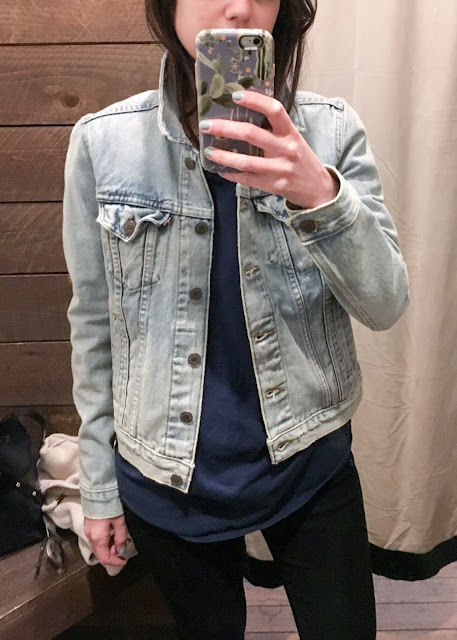 Well, I never thought I would buy a light washed jean-jacket in my adulthood, and yet here we are. Isn't it a little weird how that trend-creep often happens? First, you see the item in question and decide it isn't for you. Often, with these things you first have a strong reaction, it's not just a no, but a hell no. Then, you start to see the garment everywhere and your position is only strengthened. You're confident in your ability to avoid what is so obviously a market-driven trend. Time passes and you don't really think about it anymore, because so many people wear them and it is just something you see all the time now. Then, you are at your favorite second-hand store and you see a row of about 20 of them just hanging there, and the one on the end looks like it would fit you perfectly in the shoulders. You try it on, just for fun, and damned if you aren't right. It fits perfectly, and is totally broken in. Someone else has already put in the work: wearing it to music festivals, washing and drying it 100 times, so the denim doesn't even really feel like denim. Not only that, but you have some store credit remaining? *Sigh* I guess you just own an awesome jean jacket now. I totally know this feeling, though I usually end up succumbing with something from a retail store. (It happened with skinny jeans and then with leggings as pants.) I don't think it's happened too recently. I'm convinced I'll successfully hold the line on most of the recent trends I've noticed (cold shoulders and statement sleeves especially), but only time will tell. 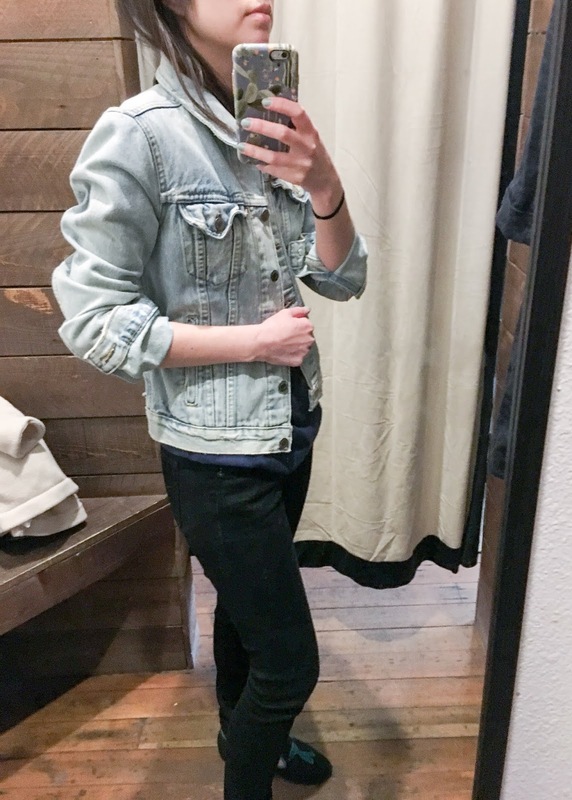 Skinny jeans also really got me as well, I almost only wear them now and have only recently started to look into baggier styles. =me with (alll) boots, back in high school. How one can hate all boots is beyond me. My first pair I got for $15 as a joke because they were multicolored and awesome. Leggings, also, although unless they are structured I still won’t wear them as pants. I think I remember those boots if they were like, more of a multi-color knit situation. Also, that is a great use for RtR.